Many boating-related fatalities and drownings are a result of cold water immersion. After a person falls into cold water, both the temperature of the water and the amount of time the person is in the water affect the way the body physiologically responds. There will most likely be times when you will find yourself with other hunters to the right and left of you when hunting. 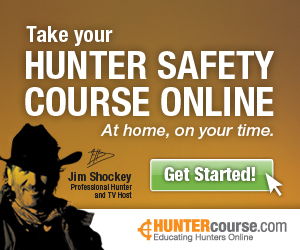 In this situation, safe hunting requires that you know your zone of fire. The number of hunters with you and the terrain determine how you can safely carry your firearm in the field.